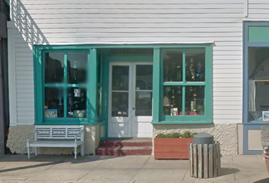 Reasonably priced local art and handmade gifts, nautical ornaments, lighthouses and mermaids. Garden pottery, whimsical wind chimes, birdhouses and iron votives. Our cats, dogs and collectable critters will put a smile on your face. Handmade jewelry by Margene.